Epistle of Barnabas. Papias and Quadratus. 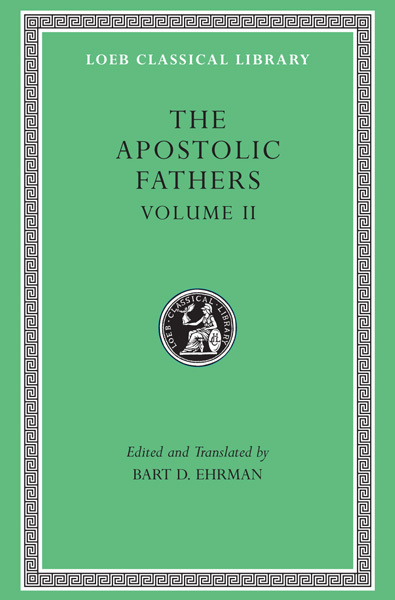 The writings of the Apostolic Fathers give a rich and diverse picture of Christian life and thought in the period immediately after New Testament times. Some of them were accorded almost Scriptural authority in the early Church. This new Loeb Classical Library® edition of these essential texts reflects current idiom and the latest scholarship. Here are the Letters of Ignatius, bishop of Antioch, among the most famous documents of early Christianity; these letters, addressing core theological questions, were written to a half dozen different congregations while Ignatius was en route to Rome as a prisoner, condemned to die in the wild-beast arena. Also in this collection is a letter to the Philippian church by Polycarp, bishop of Smyrna and friend of Ignatius, as well as an account of Polycarp’s martyrdom. 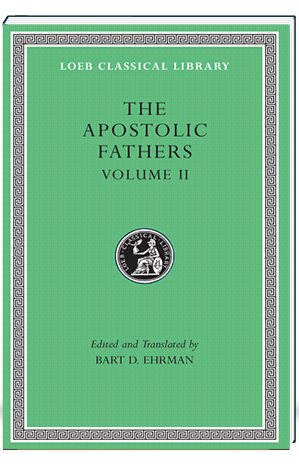 There are several kinds of texts in the Apostolic Fathers collection, representing different religious outlooks. The manual called the Didache sets forth precepts for religious instruction, worship, and ministry. The Epistle of Barnabas searches the Old Testament, the Jewish Bible, for testimony in support of Christianity and against Judaism. Probably the most widely read in the early Christian centuries was The Shepherd of Hermas, a book of revelations that develops a doctrine of repentance.